One morning Matisse went to the river to go fishing. He had all his gear and it was a beautiful morning. The river was running swiftly but he found a quiet pool at a turn in the river and was looking for the place to cast his line when he heard voices. Matisse peered around some bushes and saw a swimming hole with the first bathers of the day laying out their towels. As they moved into the water his eyes caught the flash of bare limbs splashing in the water. He composed himself and cast his line. 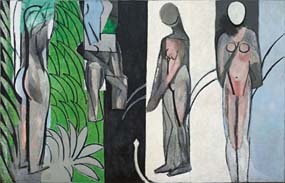 Matisse began Bathers by a River in 1909, (shown on left below) as one of three panels commissioned for the residence of the Moscow collector, Sergei Shchuckin. However, it was rejected by the collector and returned to Matisse. Matisse transformed it over the next eight years, altering the idyllic scene and changing the pastel palette to reflect his new interest in Cubism. These final somber figures are far removed from the graceful bathers of the original composition. Ê(Shown on right above.) Matisse considered his final version of Bathers by a River to be one of the five most pivotal works of his career. A scroll is mounted in the back of a stretched canvas and it can be turned to compare Matisse's painings to actual bathers. Here is a full view of the scroll extended to its full 34-inch length. 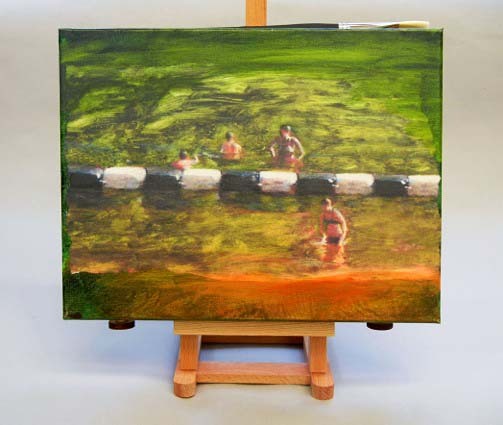 The monotype by Charles Hobson has been reproduced as a digital image and mounted on the face of the canvas and painted with acrylic paint and varnish. 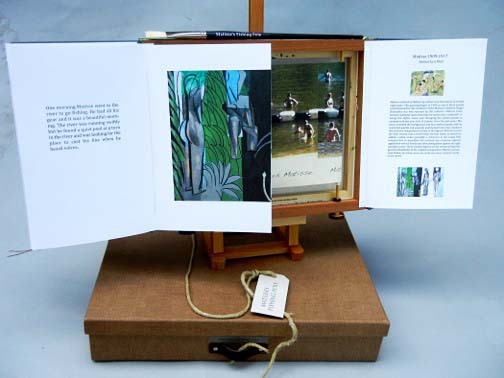 The design of the book anticipates that the side showing the monotype can be displayed on the easel alternating with the side showing the scroll. 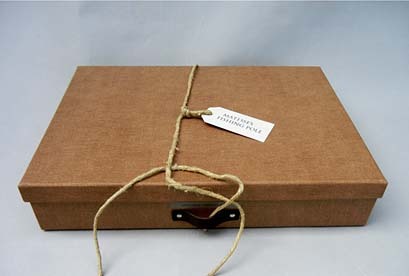 The edition comes in a fabric covered box, much like one in which fishing gear and other paraphenelia might be stored. A paint brush attached on top of the canvas gives the title of the book. 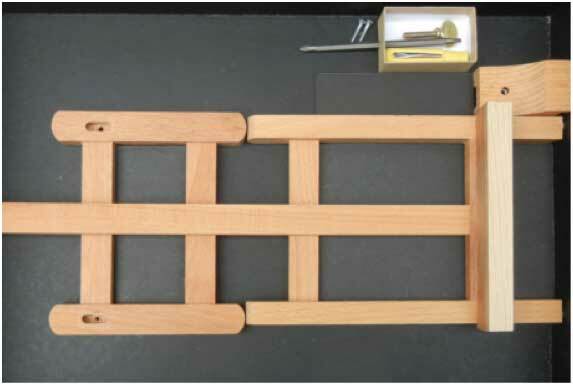 An easel is enclosed in the box with a small screw driver and screws for its assembly.